On the first day of the bowling competition in the X World Games 2017, Laura Beuthner of Germany swept Kelly Kulick, United States of America, two-game-to-none, to capture the gold medal in women’s singles at Sky Bowling in Wroclaw, Poland. 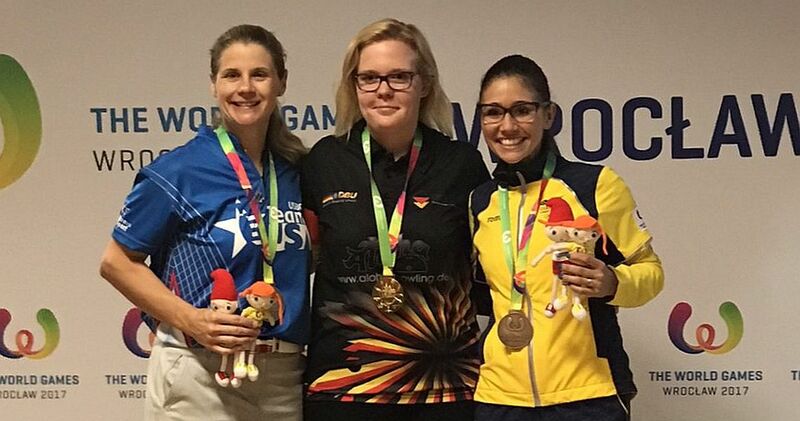 Pictured above are the medalists in women’s singles in the bowling competition at the World Games (from left): Kelly Kulick, United States (silver), Laura Beuthner, Germany (gold), Clara Guerrero, Colombia (bronze). Beuthner averaged 258.17 in qualifying to earn the No. 1 seed in the 16-player match play bracket and won best-of-three matches on her way to the title. In the gold medal match, Beuthner flew past Kulick in the first game, 287-165, and wrapped up the title with a 222-207 win in game two. Kulick, who made sports history by winning the 2010 2010 PBA Tournament of Champions to become the first woman to win a PBA Tour event, won her second silver medal in Singles after the 2013 World Games in Cali, Colombia. In 2013, she also won gold in mixed doubles with Mike Fagan. 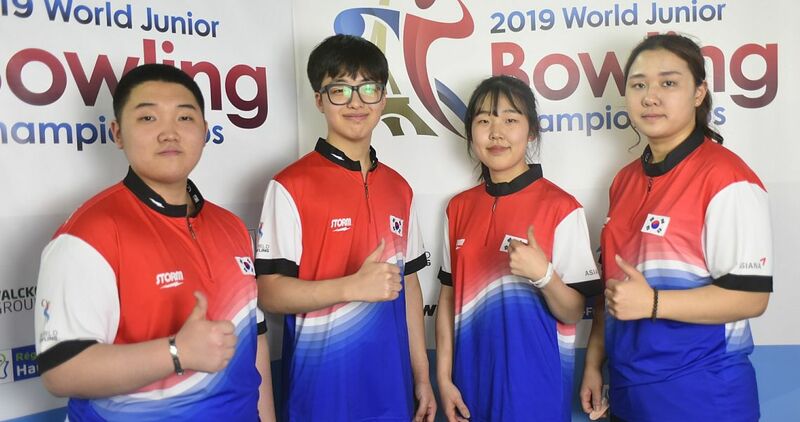 In the semifinals, Kulick defeated defending World Games champion Daria Kovalova of Ukraine, 2-0 (234-183, 247-214), who had defeated Kulick in the 2013 title match. 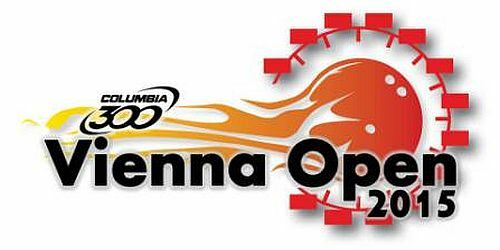 Colombia’s Clara Guerrero lost to Beuthner, 2-1 (269-226, 210-247, 218-227), in the other semifinal match. 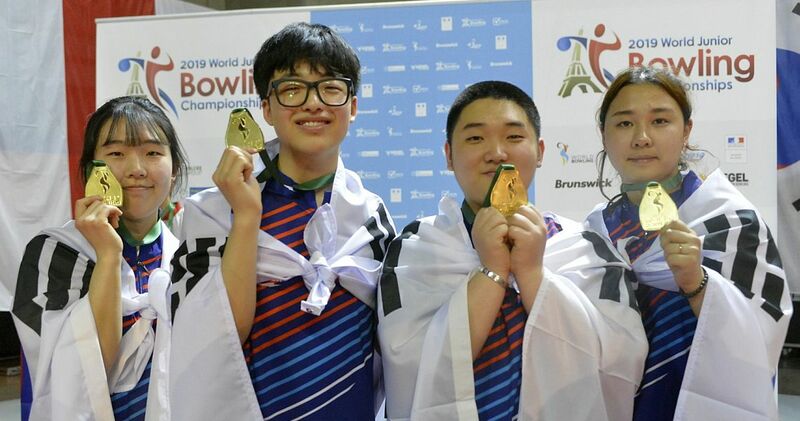 Guerrero rebounded with sweep of Kovalova, 239-170 and 228-216, in the bronze medal match to earn the bronze medal, while Kovalova had to settle for fourth place. 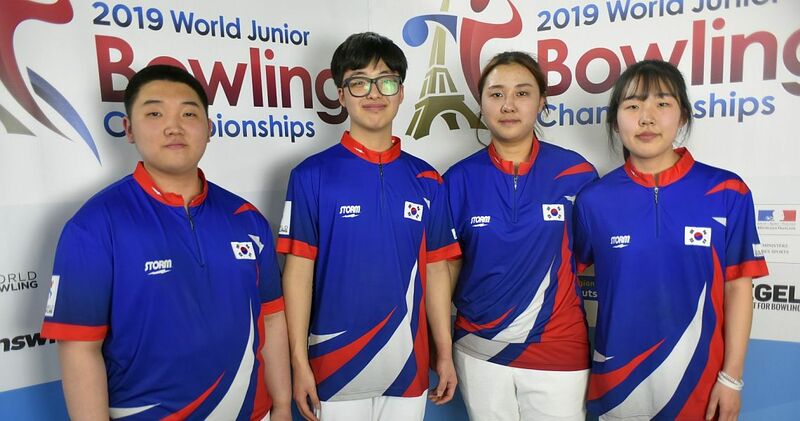 The 32 women from 16 countries, five from each zone (America, Asia and Europe) of World Bowling plus the host country Poland, bowled six games of qualifying to determine who advanced to the 16-player bracket. 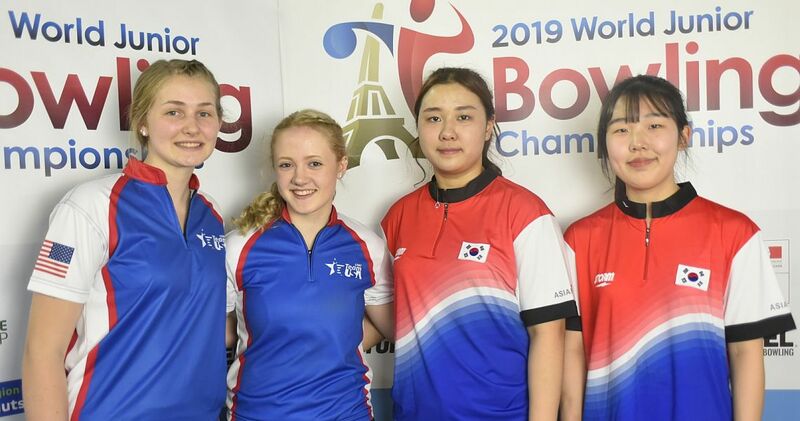 Beuthner’s 1549 pinfall total led the field, and she was followed by Colombia’s Rocio Restrepo with 1486, and Germany’s Birgit Pöppler with 1481, including a 300 game in game four. 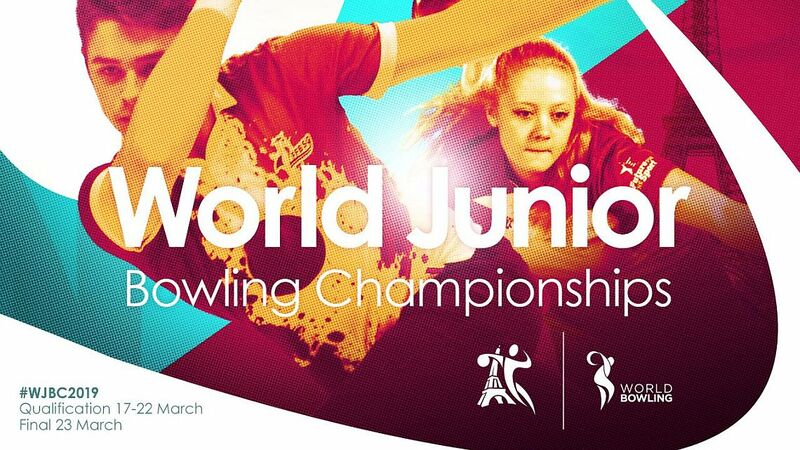 Poland’s Daria Pająk, who won the Greater Detroit Open last month for her first PWBA title , and Japan’s Mirai Ishimoto tied for fifth in qualifying at 1449. Beuthner defeated No. 16 Miranda Panas of Canada in the Round of 16, 2-1, and then ousted Patricia De Faría of Venezuela, 2-0, in the Round of 8. The World Games is a multi-sport event staged every four years since 1981 by the International World Games Association under the patronage of the International Olympic Committee for sports, disciplines or events within a sport that are not contested in the Olympic Games. 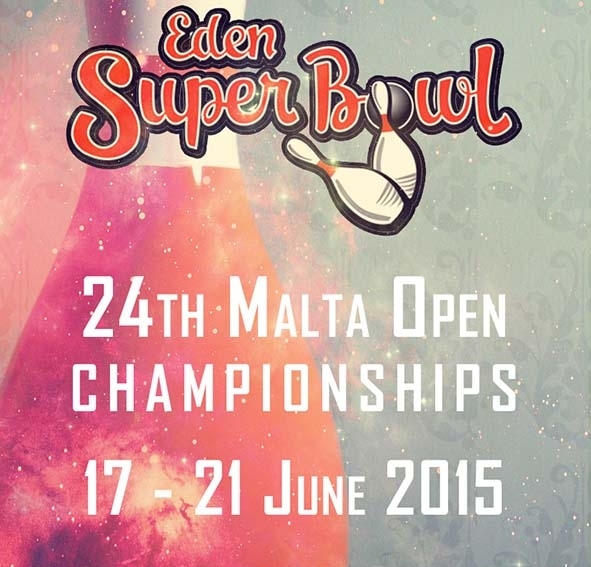 The bowling competition continues Saturday with the men’s singles event. Osku Palermaa of Finland is the defending champion. 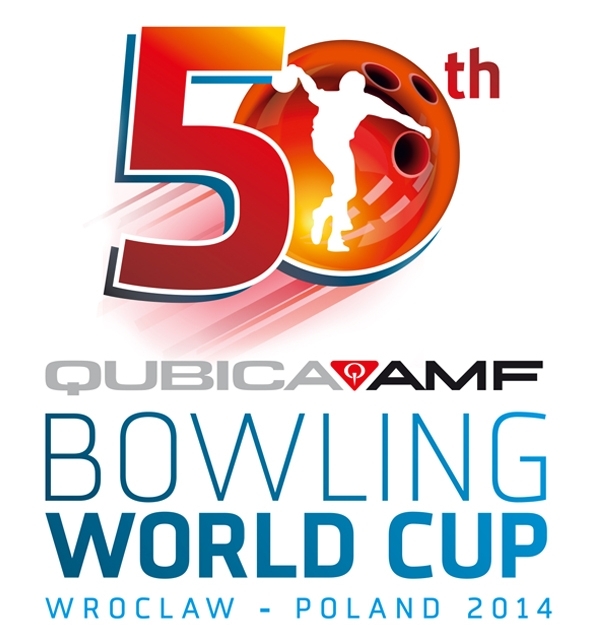 The 10th edition of the World Games will be held in Wroclaw, Poland, 20–30 July 2017. More than 3,000 athletes from 31 sports and 111 countries will take part in the biggest sport event ever staged in Poland. Single-elimination, best-of-three games format; winner advance to the gold medal match, loser advance to the bronze medal match. 300 Games (1) – Birgit Pöppler.